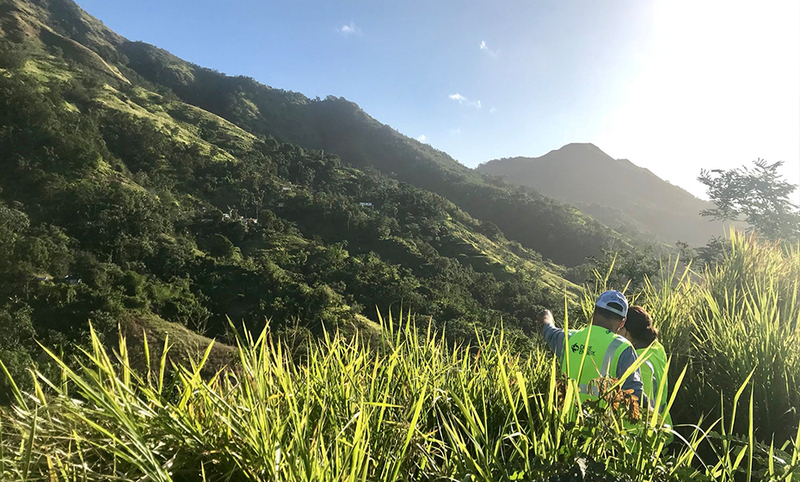 Editor's note: Duke Energy spokesperson Ryan Mosier gives an inside look at restoration efforts in Puerto Rico. 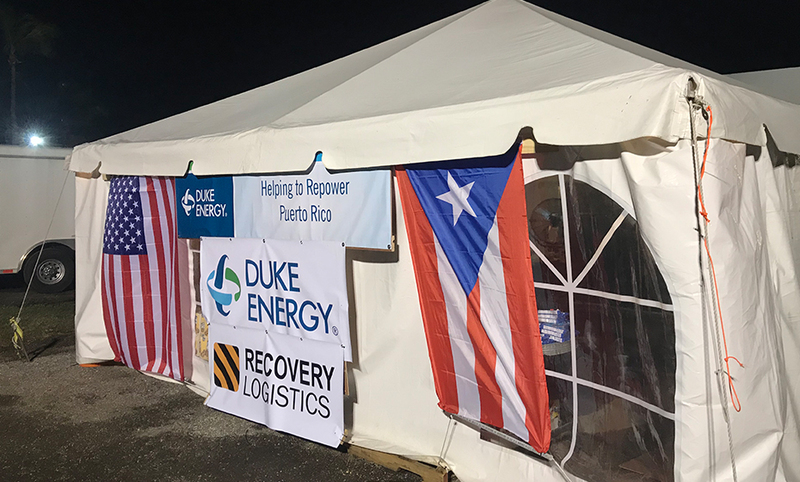 He is stationed with about 220 other Duke Energy workers who went to the island on Jan. 14 to restore power following Hurricane Maria in October. Learn more about the effort here. Florida lineman Carlos Salamo has utility work in his veins. He was raised in Puerto Rico where his mom and dad worked for the island’s electric utility, Puerto Rico Electric Power Authority (PREPA). It made perfect sense that he would follow their footsteps. Carlos Salamo talks with a customer in Puerto Rico. He learned linework while working for PREPA for 13 years but moved to Florida several years ago. 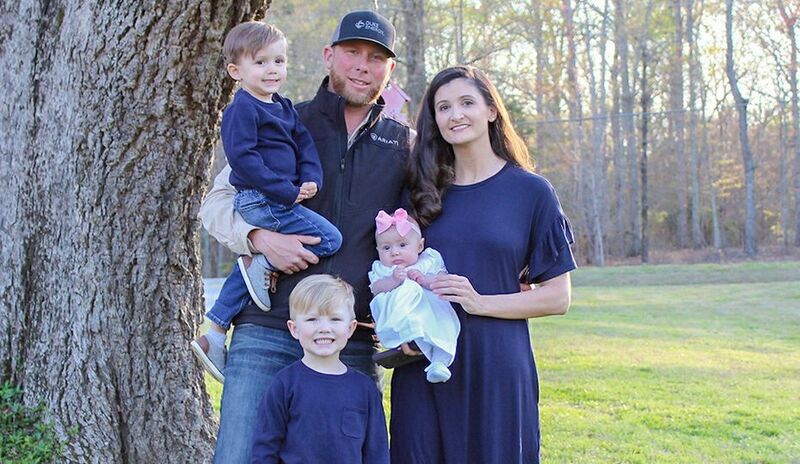 He worked for electrical contractors before coming to Duke Energy about a year and a half ago in Buena Vista, Fla. When the company asked for volunteers to go to Puerto Rico, his decision to help his friends was easy. He’s seen many of his friends, cousins and former PREPA co-workers since arriving on the island. Before traveling to Puerto Rico, Carlos, like many Puerto Ricans, followed the situation closely by watching the news and hearing from folks back home. He knew times were tough with no electricity and damage to infrastructure, so he deployed with many fellow natives to do what they do best: restoring power to the communities like the ones where they grew up. But the rolling mountains and thick groves of trees are much different than what they have grown accustomed to in Florida. From hillside to hillside, they do what they can to bring their homeland one step closer to normal, and they wouldn’t have it any other way. Alvin Fred works with Carlos as an apprentice and also has strong roots to Puerto Rico. 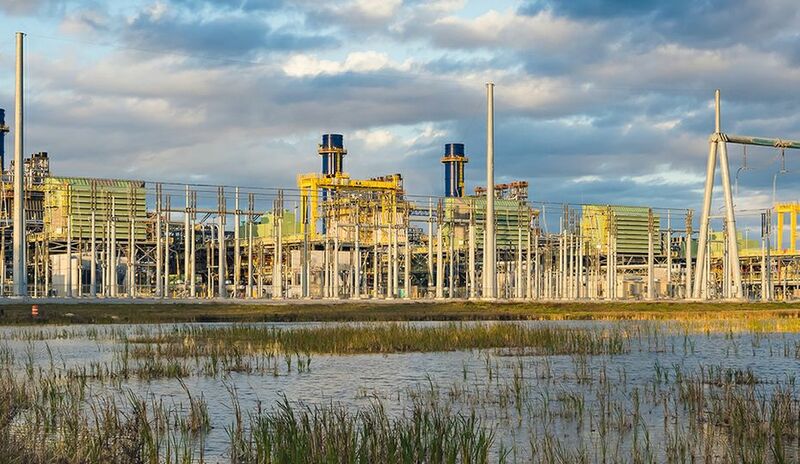 Bilingual, they find themselves not just doing linework, but bridging the language gap with customers to explain how the crews are restoring power and get a better understanding of the land to speed restoration. And sometimes, they just lend a sympathetic ear. 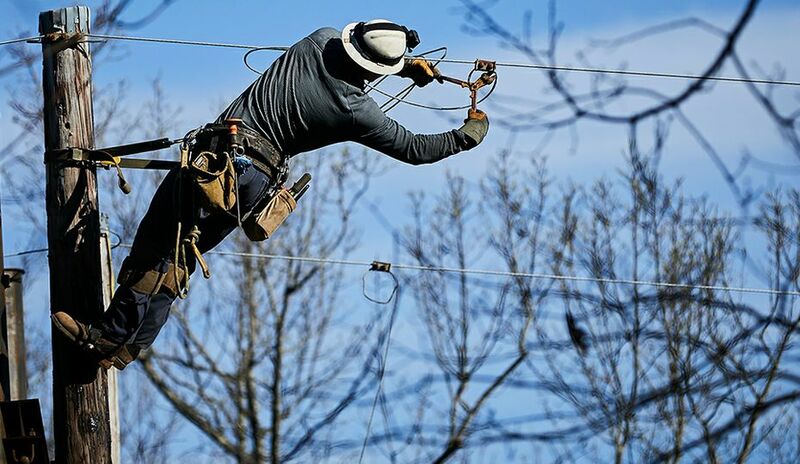 A lineman’s job has always been part electrician and part good neighbor because the customers they restore power for are their own family and friends. And it’s really no different in Puerto Rico. The crews have spent so much time in many of these areas that they have become friends and neighbors themselves. They know the children, who often speak English so well that they can translate for adults. The linemen take time (even without an interpreter) to show empathy and concern. They explain what they are doing, and, if possible, when they will get the lights back on. 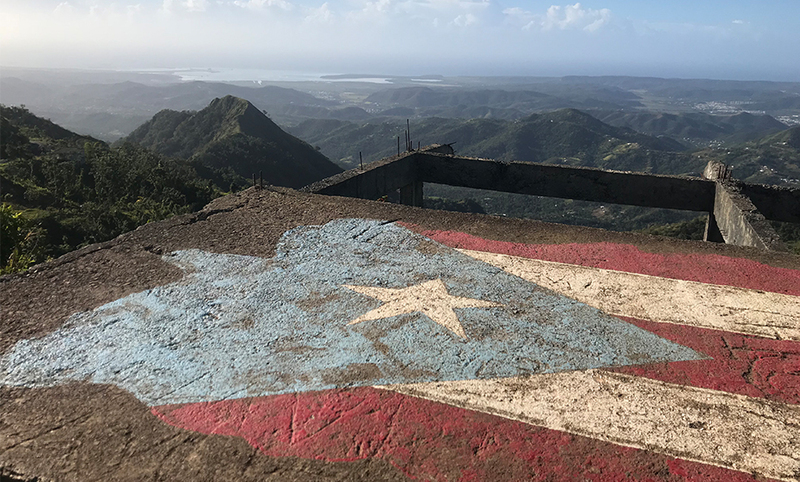 The kind folks of Ponce and the surrounding region have in turn shown what five months without power has not dimmed: their spirit and their hospitality. Linemen fix their plates at the home of a customer whose power they recently restored. The family made them this lunch as a thank you. A meal isn’t just food here, it’s a way to share thanks and bring people together. 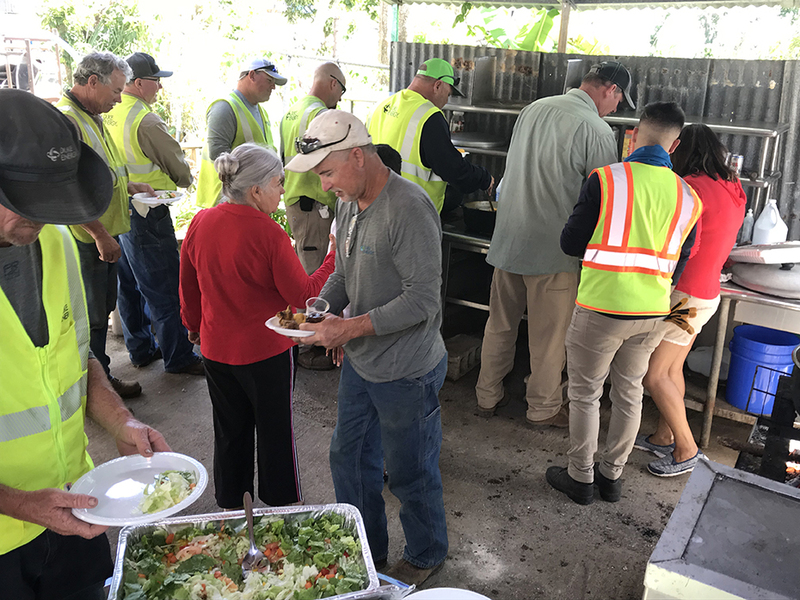 The teams here have had numerous meals prepared for them – from light snacks and lunches to whole roasted chickens and even a Ponce-style pig pickin’. Three days ago, a group of linemen restored power to a family on the hillside that they have come to know well. The family said they must come to lunch today, and so at noon as planned, lots and lots of trucks parked along the narrow road in front of their home. A man handed each lineman a plate, and a scraggly, blind dog and loud, begging cat darted about the makeshift cafeteria on the patio. 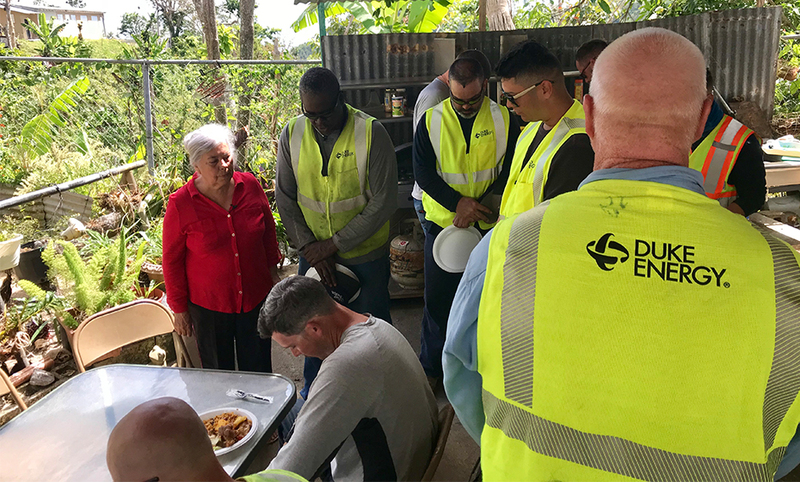 A Puerto Rican woman prays with crews over the lunch she made for them. 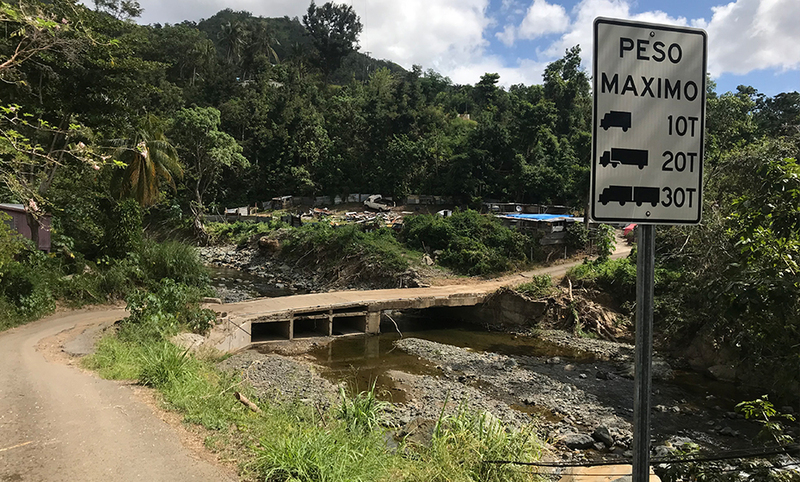 The smell was amazing – rice and beans, chicken and potatoes, stewed pork, some fresh salad and a sweet citrus concoction that perhaps later in the day would mix well with rum. Every man filled his plate, took a seat, and waited until everyone else was seated. Then, the lady of the house – a woman of white hair, which showed her wisdom, and a striking red dress, which showed her flare – asked in Spanish for all of them to pray with her. The men don’t speak Spanish but they recognized “gracias” many times. Saying thank you to these men and to God for bringing them to this place truly meant something to her. One of the linemen was encouraged to say grace in English as he obviously had for this group many times before, and they all prayed again. For this meal, this blessing and this thank you, no translation was needed. It’s hard to describe the mountains of Puerto Rico. It’s even harder to comprehend what you have to do to restore power to the customers that live on them. The narrow mountain roads are difficult driving for bucket trucks. The winding mountain “roads” are a bucket truck driver’s nightmare. I’ve seen urban pedestrian trails that are wider than these two-way roads. Carved on the edge of maddening slopes, these winding lanes get narrower the higher you drive. Even then, there are still places you can only reach by all-terrain vehicle or foot. Long strands of wire that need to be replaced run from ridge to ridge. Our crews have used a device that’s pretty much a shotgun to launch wire across ravines and valleys, so that teammates on the other side can pull it into position on the pole. Workers survey a project in the mountains. 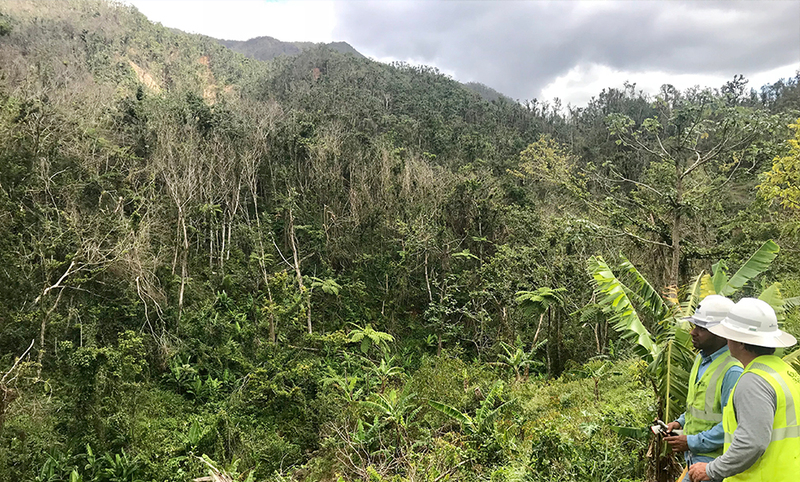 For a month, crews came back to this mountain outside Guayanilla every morning, making progress as they climbed. Along the way, they met interesting locals and amazing situations. They made friends daily, many of the four-legged variety. Dogs have a certain style on the mountain and throughout Puerto Rico. They own the roads, lounging in the sunny middle until an annoying vehicle slowly approaches, asking them to get out of the way. These guys head to a new assignment tomorrow -- a new mountain to conquer, new friends to make, and new dogs to spoil. That means Monday in Spanish. If you didn’t know that already, it’s posted as a reminder on the wall of the base camp briefing room where crews gather each night. Crews have set up a base camp that provides lodging, meals and workspaces for more than 220 employees. Supervisors, who just returned from the field, discuss the progress teams made that day with other leaders. They talk about equipment, needs, and the number of customers that finally have electricity after five months without it. 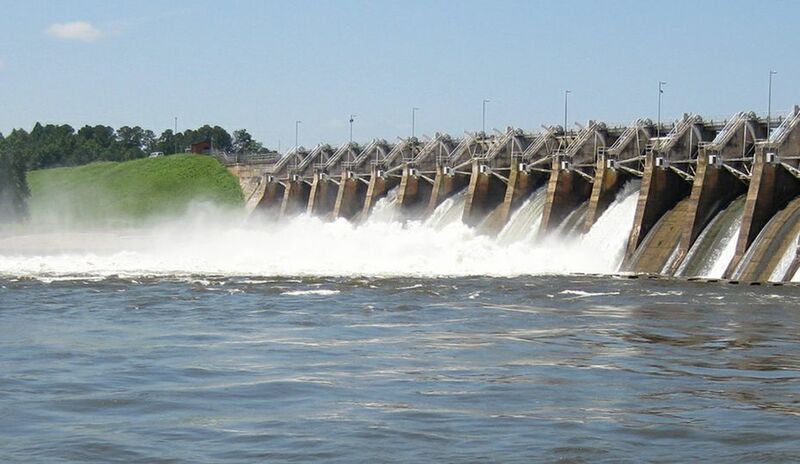 Tonight the logistics team happily shares news that a barge has landed filled with the things needed to restore power. The question is: How long will it take to unload and get in the field? Wednesday, maybe Thursday, is the consensus. 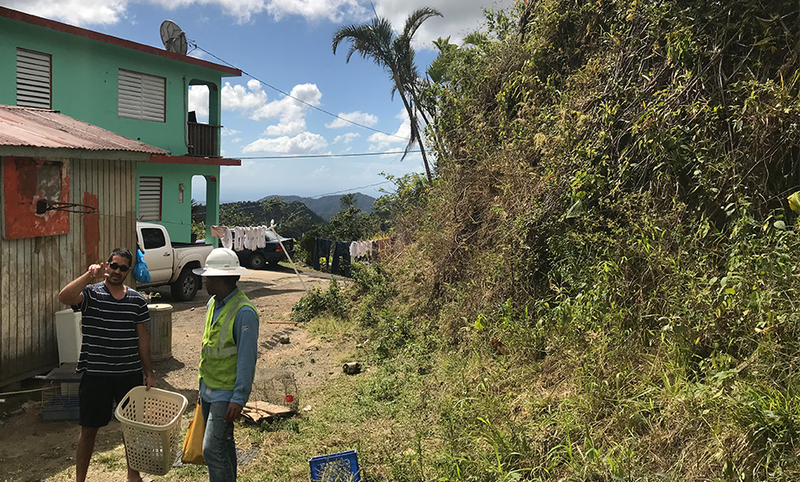 One team needs a particular type of pole, another is waiting on the local utility to finish some work to energize a substation -- things that by themselves are not tremendous obstacles, but when put together paint a picture of the effort that continues to take place on the island. Earlier as crews returned to their base camp from the mountains and city streets of Ponce, the mood was light. As leaders fresh off a plane from the mainland made their way around the room, it was obvious that, though they are tired, the team’s morale is high. Conversations and laughter filled the tent. It’s like the biggest family reunion you can imagine, and it takes place daily. They will be back at it again in the morning – Martes. One more Tuesday helping the great people of Puerto Rico get back to normal.